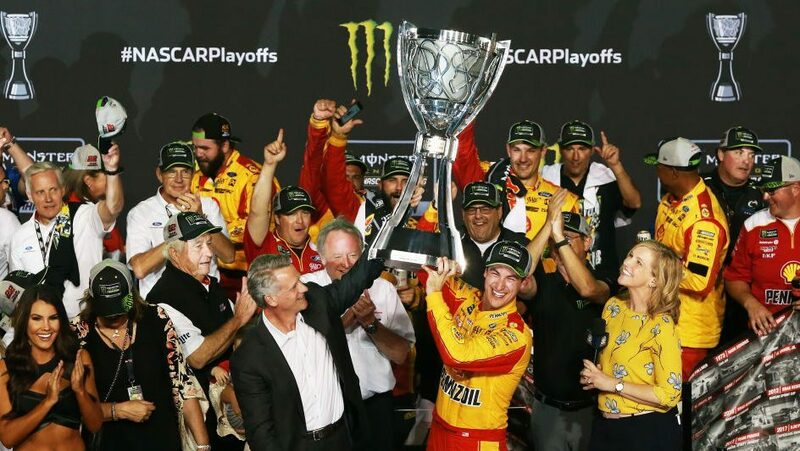 Joey Logano won the 2018 Monster Energy Cup Series championship last night at Homestead Miami Speedway, and some folks are pretty darned unhappy about it. 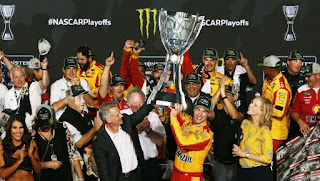 A sizable contingent of NASCAR fans seems to view Logano as Public Enemy Number One these days, after he became embroiled in high-profile, on-track skirmishes with Martin Truex, Jr. and Matt Kenseth in the last couple of years. The Connecticut native is an easy target at times; running every lap like it’s the last lap; contesting every position and attacking each pass like it was for the lead. He approaches every race like the Homestead Miami finale, as if the championship were on the line. He is not afraid to apply his front bumper to the task for which it is was intended, and after doing so, offers none of the empty apologies many modern-day fans – and sadly, even competitors – seem to expect. That earns Logano a load of disrespect from a fan base that somehow continues to lionize the late Dale Earnhardt for a virtually identical on-track approach. Last week, Logano was named 2018 Comcast Community Champion of the Year, honoring him for contributing more than $2.7 million to hundreds of children’s-based charitable organizations through his Joey Logano Foundation. All that is largely ignored by the haters, of course, who pray nightly for the kind of bare-knuckled, fender-banging finish Logano provided earlier this year at Martinsville Speedway, then somehow proclaim their hatred for the man who answers those very prayers. Since the checkered flag flew on the 2018 season last night, social media has been awash in temper tantrums thrown by people unhappy with yesterday’s Homestead Miami Speedway verdict; angry over a win accomplished on the sport’s grandest stage, under an unimaginable degree of Game Seven pressure and claimed – in case you failed to notice -- without putting as much as a single tire mark on any of his fellow competitors. 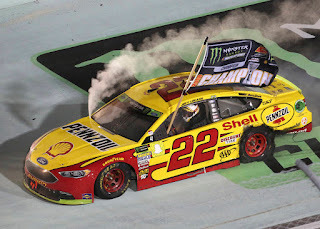 Logano and his Shell/Pennzoil team pitched the motorsports equivalent of a perfect game last night in South Florida. Their Ford Fusion was pitch-perfect, running among the Top-5 throughout the championship-deciding Ford EcoBoost 400. Their in-race adjustments were spot-on, in marked contrast to some of their fellow title contenders, who struggled to adapt to a changing race track. Their pit stops were flawless, routinely gaining Logano multiple positions on a night when a single spot ultimately decided the title. The number-one pastime across NASCAR Nation today seems to be revisionist mathematics; the ill-willed tallying of championship points according to outdated procedures from a bygone era in an attempt to declare Logano “Not My Champion.” It is sadly reminiscent of what similarly disgruntled souls do when they disagree with the results of a presidential election these days; minus the window smashing, primal screams and mass cry-ins. It is so hypocritical, and makes so little sense. 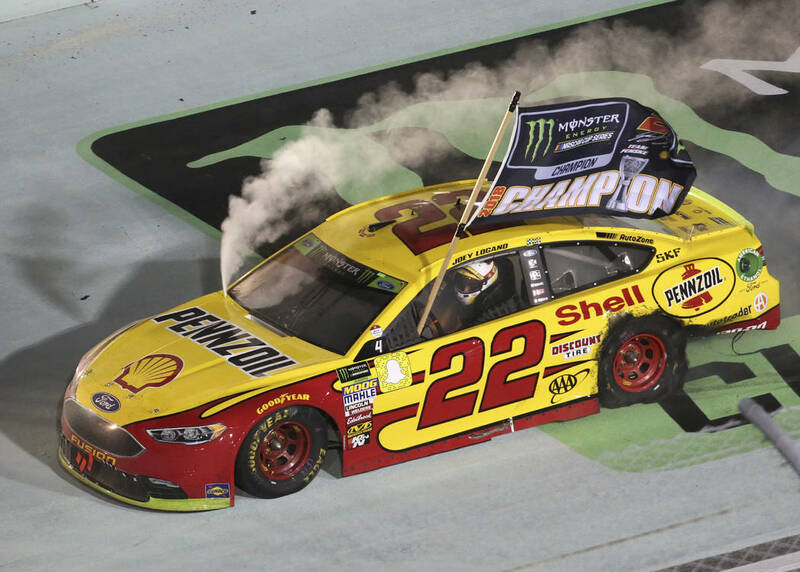 Joey Logano won the 2018 champion by doing what stock car racers are supposed to do; racing hard, coming from behind and refusing to yield in the face of adversity. For that, he deserves your respect, not your disdain.